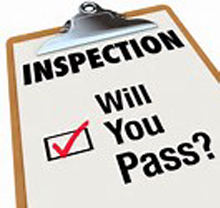 DOT inspections may only be performed by a qualified mechanic or a state police officer. Luckily for you, we are state certified to perform DOT inspections at Glenn's Towing & Repair. DOT inspections are used to discover unsafe conditions before they cause accidents or crashes, find mechanical problems before they lead to costly breakdowns, and to help you avoid being placed out of service during a roadside DOT inspection or being subject to infractions and fines. Glenn’s Towing & Repair has been in business since 1991. That's over 20 years of valuable experience, workmanship, and dedication to keeping your vehicles running smoothly and safely. We'll perform your DOT inspection for a reasonable rate as well as make any repairs that you might need on your truck. Looking for recovery services or heavy equipment hauling? Turn to our experts! Look to Glenn's Towing & Repair for all your DOT inspection needs. Our mechanics are fully certified to perform this service. Copyright 2017 Glenn's Towing & Repair. All rights reserved.